Intro: Hi ^^ My name is Soulryu! I have been ROM hacking since i was 10 years old and it became a hobby for me. I've been toying with many of the hacking tools and looked up tutorials to try and create my own hack but every time I try, I end up quitting but get better each time i start over again. 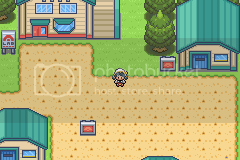 this time i'm creating another G/S/C remake with no other purpose but to be as accurate to the original game and artistically different to other GBA remakes. 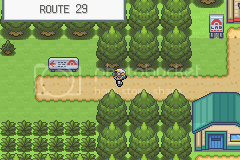 Acorroding to Blubapedia: The player begins their journey from New Bark Town, running an errand for Professor Elm to Mr. Pokémon's house to discover what he was so excited about. 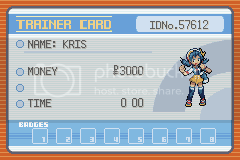 Elm supplies the player with one of three Pokémon, Chikorita, Cyndaquil, or Totodile, for this errand. After Mr. Pokémon's discovery turns out to be an Egg, the player returns to New Bark, only to find that a suspicious red-haired boy seen lurking outside of Elm's lab earlier has stolen one of Elm's Pokémon— the one that the player's choice is weak to, coincidentally. 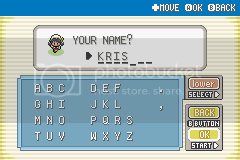 Upon defeating him and returning to New Bark, the player gives the name of the boy (the player can choose any name, provided it fits under the seven-character limit; his name defaults to SilverG or GoldS) to a police officer who has come to investigate the incident. Elm is amazed by the Egg and insists on studying it, allowing the player to keep the Pokémon they traveled with as a starter Pokémon. 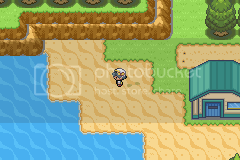 From here, he encourages the player to journey across Johto and challenge the eight Gym Leaders, Falkner, Bugsy, Whitney, Morty, Chuck, Jasmine, Pryce, and Clair, and eventually the Pokémon League (though this is a long way off). 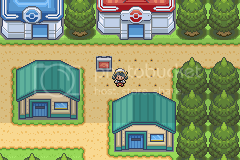 With the first Gym in nearby Violet City, the player heads off on their adventure. Last edited by soulryu; 18th October 2014 at 06:51 PM.